Just as you need a butter knife for cutting butter, you’ll need a gaming mouse for effective gaming. Here are the reasons why. With a great gaming mouse, you are able to get more of everything. These mouse devices come with better sensitivity options, an array of customizable buttons, and in most cases, an included software. Almost all gaming mouse devices have more than the regular scroll wheel and two buttons, and this gives you a great chance to get the most out of your game. Many gaming mice come with adjustable weight options. This allows you to remove or add weight to fine-tune the heft of your mouse. The weights are typically made of metal that you can add or remove in an instant. Gaming mice customizability does not end there. Quality gaming mouse devices come with dedicated software solutions that allow you to customize individual buttons and assign them functions, and set up the sensitivity to suitable levels. Better, a great mouse will assign different configurations for a range of games and user profiles that are automatically loaded. 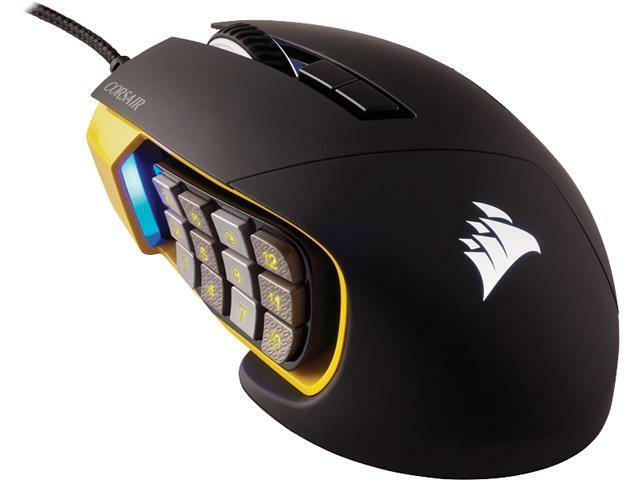 The peripherals of gaming mouse devices have different designs from those of regular mice. While some have been made for looks, most come with unique shapes for ergonomics. Whichever the reason is, gaming mice work better than their regular counterparts. Another attractive feature of gaming mouse devices is RGB lighting. You can customize the RGB lighting of a high-end gaming mouse using the supplied software. Colors could represent the sensor’s sensitivity (DPI/CPI). Designed for precision and accuracy, gaming mouse devices include a high DPI count in their hardware. Dots per Inch (DPI) measures how sensitive a gaming mouse is. The higher the DPI in a mouse, the further the cursor on your screen moves. This means that a mouse with a high DPI detects and reacts to lesser movements. Gaming mice come with higher DPI levels than regular mice, and this gives you better gaming experience. Better, most top gaming mouse devices come with DPI settings options to enable cycle through different DPI sensitivity levels and choose one that suits your game. That said, a gaming mouse is sensitive even to the slightest input. Like any other gamer, you probably spend many hours on a computer. The only way to get over the fatigue associated with this is through using an ergonomic mouse. Unlike regular mouse devices, most gaming mouse devices are ergonomically made to help you play for extended hours without wrist, palm, and finger strain. Gaming mouse manufactures also go further in studying the human hand along its different shapes and sizes. Regardless of whether you have a small hand or a bigger one, you’ll definitely find a gaming mouse that blends well with your hand’s size and shape. Compared to the general population, gamers use their peripherals more. This makes gaming gear more prone to wear and tear due to friction and stress subjected to them. Fortunately, gaming mouse are designed to last long regardless of the nature and number of clicks applied. Many times, you will find gaming mouse companies mentioning the number of clicks a model can handle before breaking down. Additionally, most gaming mice that cost above $10 have replaceable parts. This implies that should a button or another component fail, you can easily replace it. Which is the Best Gaming Mouse to Buy? Beware of cheap knockoffs in the market. Some have many buttons that makes them look flashy but will out rightly disappoint you once it comes to performance. Design – is the mouse ambidextrous? This especially applies if you intend to use your right and/or left hand. Made for budget gamers, this mouse costs only $27 and contains all high-end features found in more costly gaming mice. These include a 6000 DPI, up to 16.8 million RGB lighting color options, 6 buttons, and Logitech’s software for customizing buttons, DPI, and light color options.